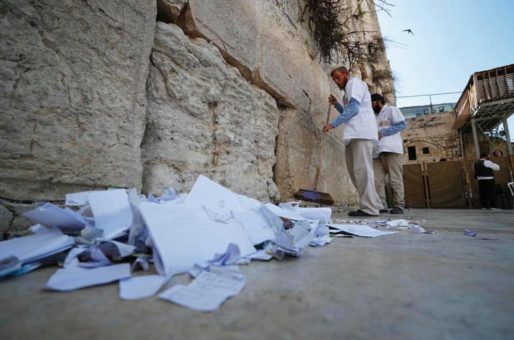 Western Wall employees remove millions of handwritten notes from between the ancient stones. 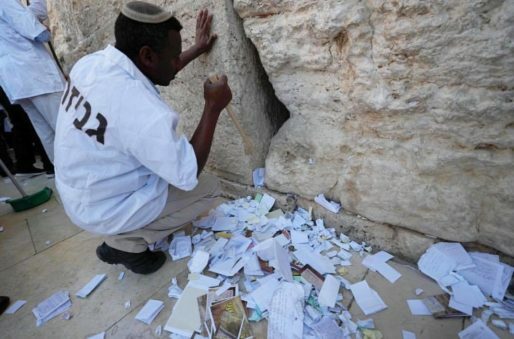 The notes are placed in a repository in accordance with Jewish law, with the laborers – working under the supervision of Western Wall and Holy Sites Rabbi Shmuel Rabinowitz – taking care to not read their content. 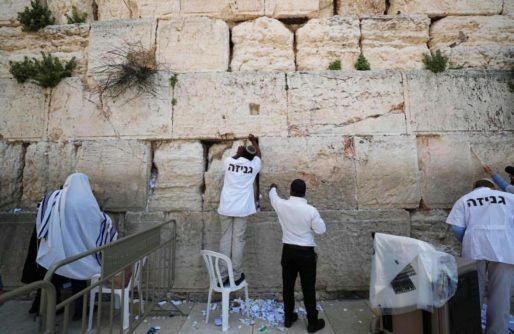 Engineers will also be conducting tests to determine the stability of the stones so that none are in the risk of falling on the worshipers below. 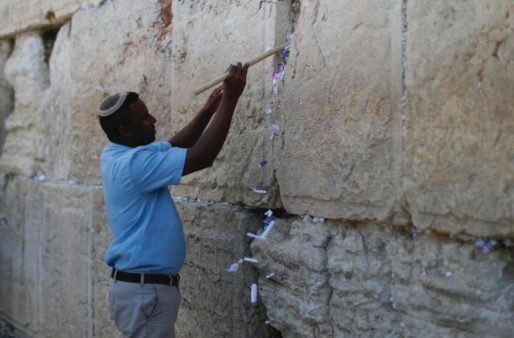 This type of Western Wall maintenance is completed twice a year, every year. NEXT POST Next post: I waited 65 years to give her a kiss.